House of Pain, Blood and Fire! I grew up among the Gas, the natives of Accra. 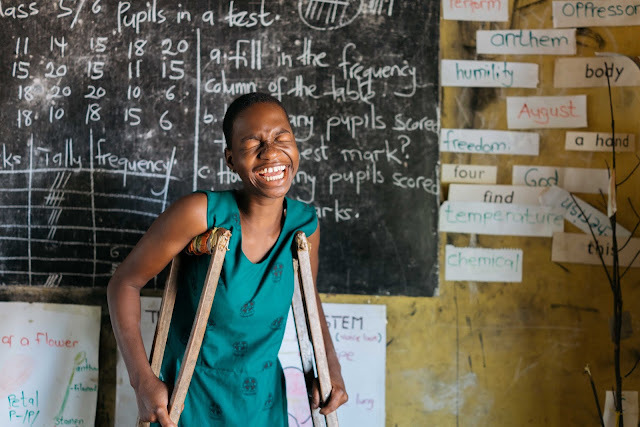 I had to fight my way to respect in school but my reputation as a survivor came faster because of the precision with which I could hurl a stone at a moving target. I remember puncturing a kid’s head with the tip of an old, heavy, pressing iron and watching the blood escape from his skull and shoot into the air like a liberated fountain. “Who’s next?” I shouted but no other kid came forward. I had fought my poor opponent in school a while back but forgot all about it. On that bloody Saturday morning, I had been sent to take the pressing iron to the repairer, who lived in this boy’s neighbourhood. In no time, about twenty boys had surrounded me. That is how we grew up in old Accra. You fight. If I remember correctly, that was the last time I had to fight. The story spread fast, sounding bloodier with each retelling. The Slaughter Boys is a story of survival. A decade ago, the then government of Ghana demolished the colonial Abattoir in favour of a more modern one in the centre of the capital. What it couldn’t do, was win the fight against the Slaughter Boys. 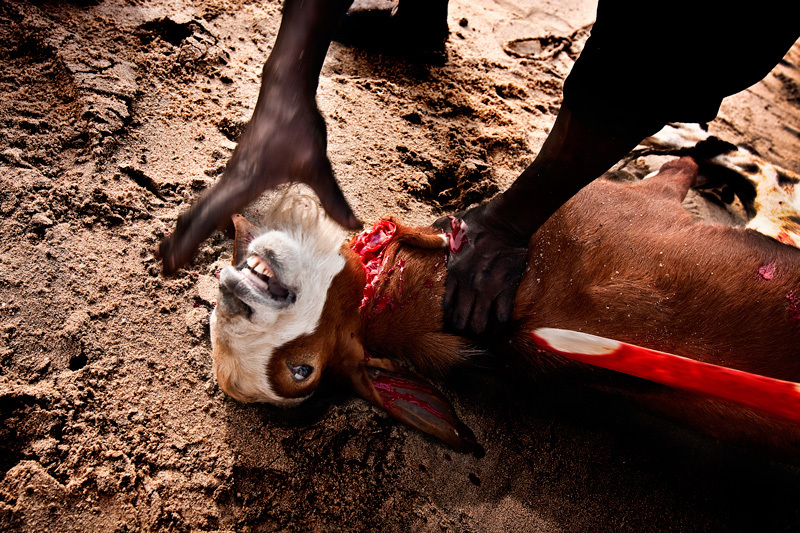 Everyday, several hundreds of sheep and goats are slaughtered in the bare sands of the beach, where the building used to be, and readied for every market in Accra. After each bloody morning, the boys rest a bit and head for the gyms to train as boxers whilst the older ones act as coaches, promoters, and fans. I grew up at the time when Azumah Nelson was king. He called himself “The Professor of boxing”. I can still remember the day he came to my neighbourhood, which was the very one he grew up in, driving his Nissan Blue Bird with a black and white number plate that read- ZOOM ZOOM. We swarmed him like malnourished doves at the sight of crumbs. Only this time, instead of crumbs, he was throwing Jerry Rawlings’ “gye nyame” ten cedi notes at us. That day, Azumah Nelson became our dream. All we could talk and think about as kids was boxing. We too wanted to be champions. Mine waned but not everybody else’s. 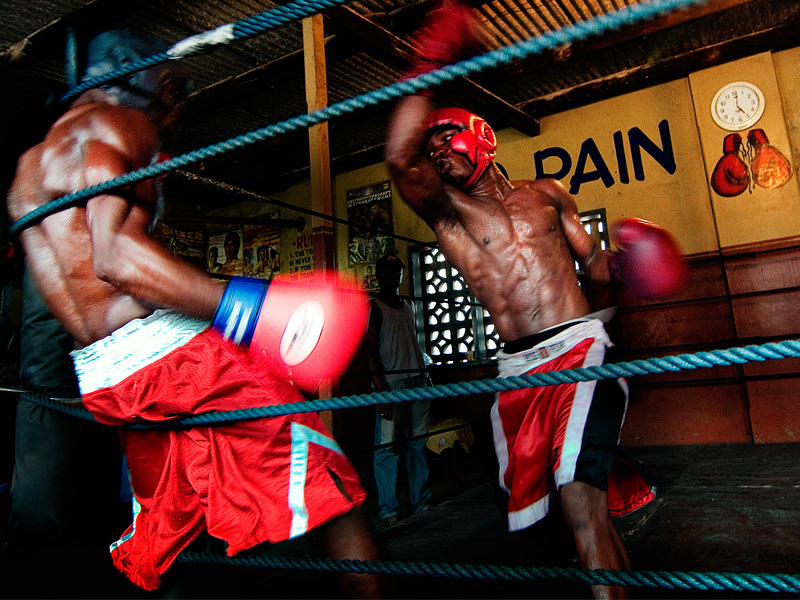 The Attorh Kwashie Gym, where most of the slaughter boys train as boxers currently has fourteen professional boxers and thirty amateurs. They have to share boxing gloves, gums and towels. They have no sponsors and no support but they persist. 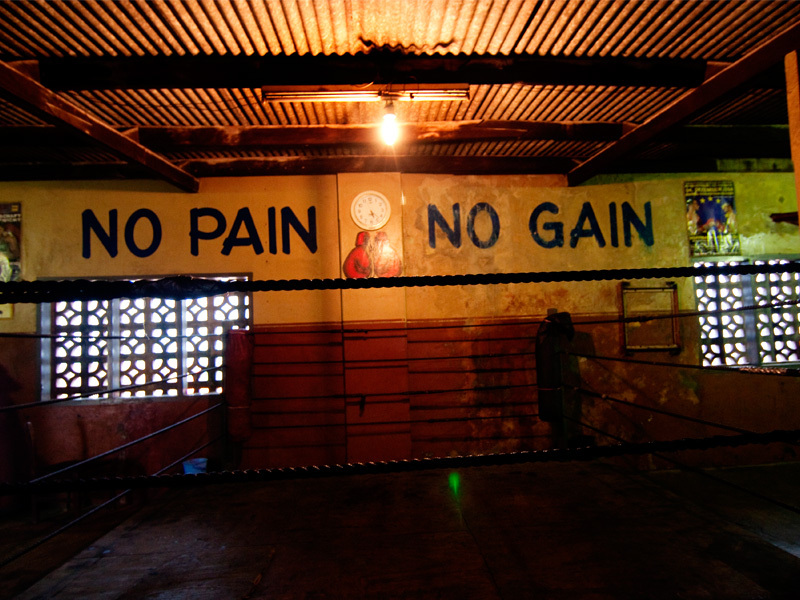 The motto, “No Pain, No Gain”, is not just an inscription on the walls. It is the only language they speak. They know that one good boxing match can give them far more than they can ever earn at the slaughter house in a lifetime. "originally written for ZAM Magazine, Africa"